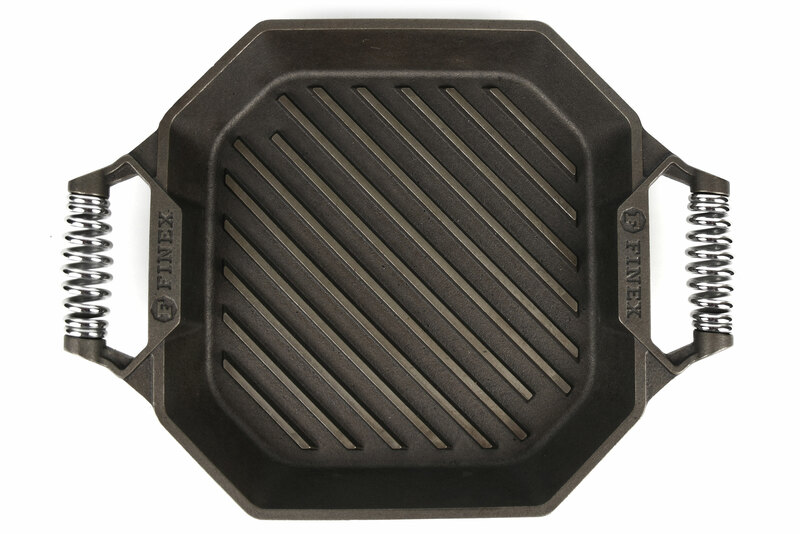 The Finex Cast Iron Double-Handle Grill Pan is designed to grill, sear or blacken your favorite meats or vegetables. Each cast iron piece is made by hand from premium American cast iron, polished stainless steel and brass and then double hand seasoned with organic flax seed oil for a lifetime of use. Cast iron is at its best when retaining and transferring heat and this grill pan is no exception. The true BBQ-width grill ribs provide the best grill marks on or off the grill. Rich foods drain easily too and won't fry because these grill ribs are extra deep and patterned after commercial BBQ grates. 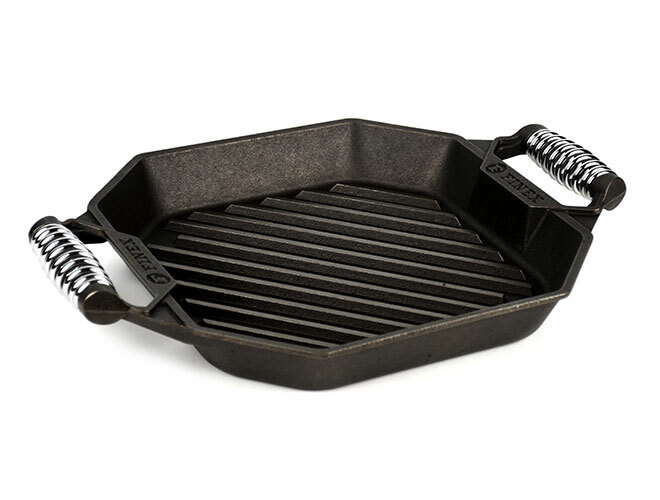 The thick-bottom design heats evenly and retains heat for perfect grilling results on every heat source. For outdoor grilling, get the best of both worlds and all that wonderful BBQ flavor from the coals or grill without the flare-ups or unintended charring. Both meats and veggies are perfectly grilled, tender and juicy. 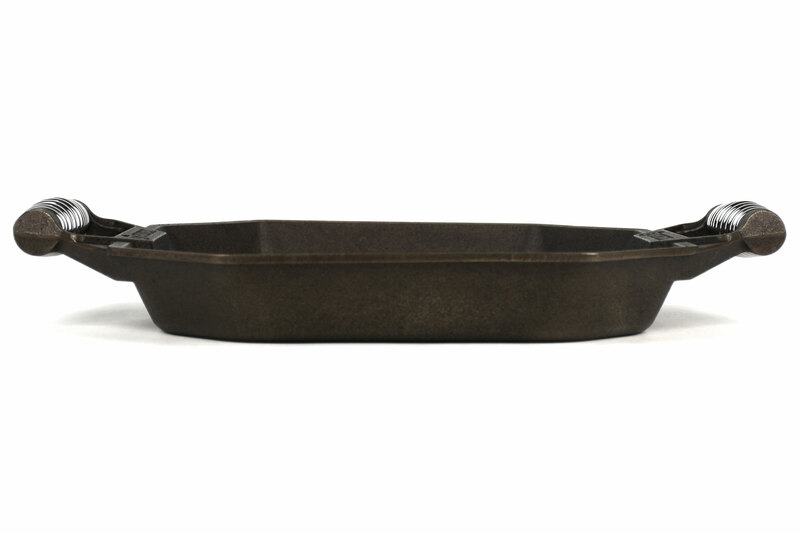 This cast iron grill pan is made for the popular reverse sear technique, considered by many to be the best way to prepare a steak. Especially if you smoke low and slow, and want perfect cross-hatch grill marks right before serving. 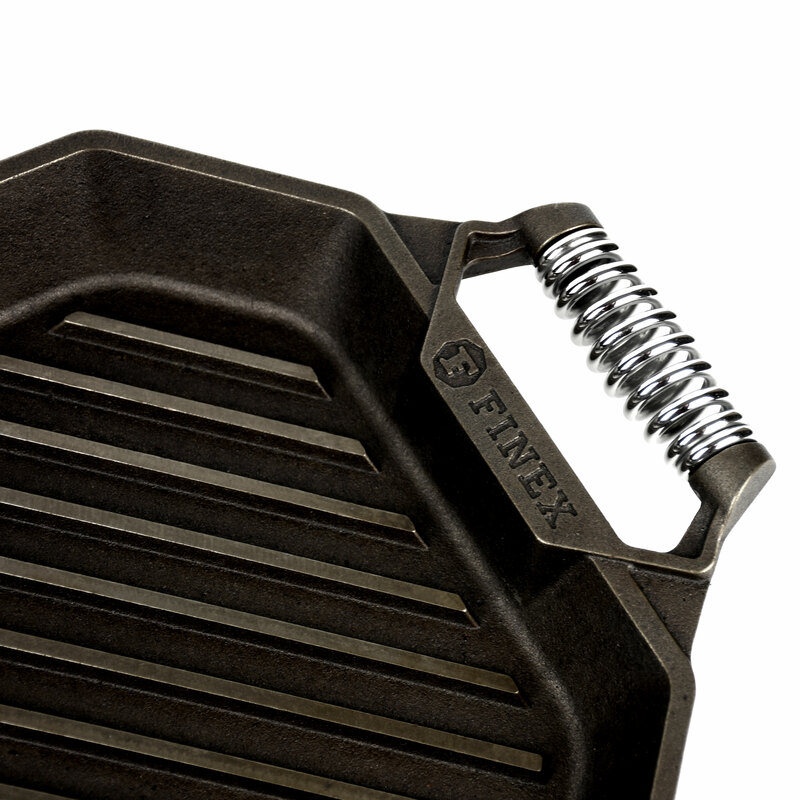 Every cast iron grill rib is individually machined and polished to minimize sticking and makes cleaning easy. The pan is pre-seasoned with organic flax seed oil and precision assembled. The signature quick cooling stainless steel springs and permanently secured with commercial rivets for handles that are as sharp looking as they are functional. 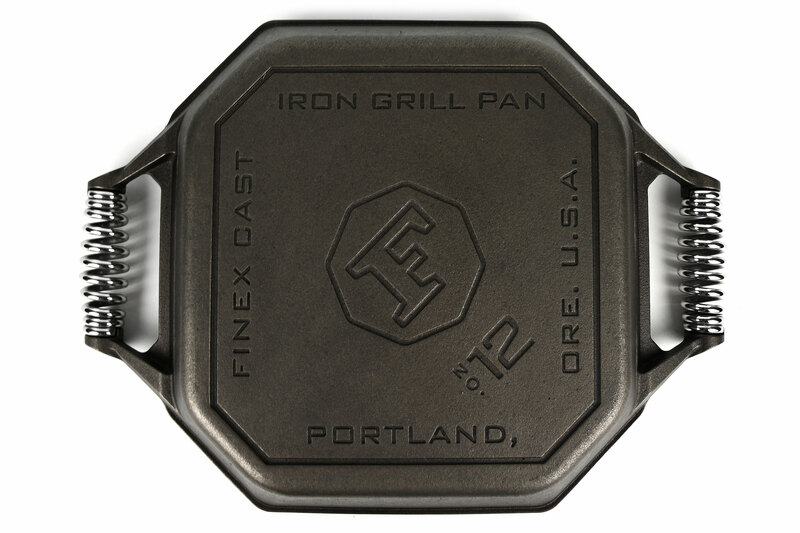 Finex Cast Iron Grill Pans are built for heavy-duty use on the stove top, in the oven, on the grill or over the coals.